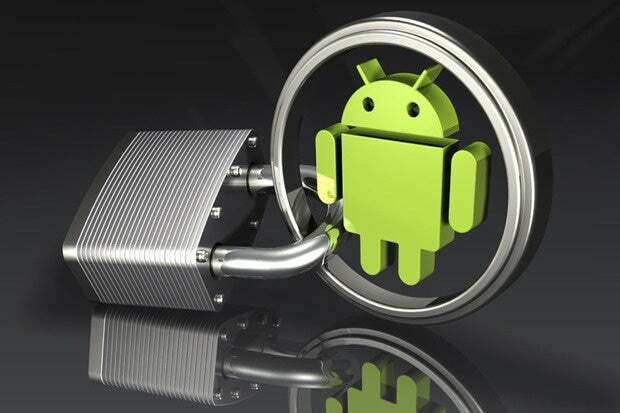 This isn't your typical Android security story. Most articles about Android security tools focus on malware-scanning suites like Lookout, Norton and AVG. But with the layers of protection already built into the platform, those sorts of apps are arguably unnecessary and often counterproductive -- or even needlessly expensive. For most Android users, the seven tools below should cover all the important bases of device and data security. Some are third-party apps, while others are native parts of the Android operating system. They all, however, will protect your personal info in meaningful ways -- and without compromising your phone's performance. Plus, all but two of them are free. Your mission, should you choose to accept it: Make your way through this list, then tighten up your Google account security settings -- and breathe easy. Security doesn't have to be scary. One of Android's most useful security tools is also one of its most easily overlooked. Screen pinning made its debut with Google's Android 5.0 Lollipop release in 2014 -- but I'm willing to bet the vast majority of Android phone-owners either have forgotten all about it or never even realized it existed in the first place. Let's fix that, shall we? Screen pinning is designed for those moments when you want to hand someone your phone -- to look at a photo, check something out on a Web page or maybe make a quick call -- without taking the chance of them poking around and getting into your personal stuff. Take a minute and make sure the feature's activated now so it'll be ready when you need it: Just head into the Security section of your system settings and look for the option labeled "Screen pinning." Tap that line, then check to see that the toggles are activated next to both "On" and "Ask for unlock pattern before unpinning." You activate the screen pinning feature in the Security section of Settings (left). Go to Recent Apps, scroll up and tap the pushpin key to lock your phone to that app (right). Tap that pushpin, and you're all set: Your phone is now locked to that app and that app alone. In order to do anything else on the device, you'll need to tap and hold the Back and the Overview key at the same time and then enter your pattern, PIN or password to continue. Perhaps the greatest risk to your personal security is the use of weak or frequently repeated passwords. We all have about a billion passwords to our names these days, and it's virtually impossible to make each one strong and unique without a little help. Well, here's your knight in shining armor: a password management app like LastPass. LastPass makes it dead simple to generate and store strong passwords for every site you sign into. It'll even fill the passwords in for you across all the apps on your phone (and do the same on your tablet, laptop or desktop system as well). The program uses advanced encryption to keep your info safe; all you have to do is remember a single secure password to unlock your vault at the start of each session. LastPass costs $12/year for the full premium version, which is what most people will want. Other popular password managers include 1Password and Dashlane, though the former is less polished and user-friendly than LastPass while the latter is significantly more expensive, at $40/year for the full set of features. No matter how secure your passwords may be, they'll never be bulletproof. Adding a second layer of protection is the best way to keep unwanted intruders out -- and it's really quite easy to do. The dual-layer protection process is known as two-factor authentication, and it basically means that in order to get into your most important accounts -- like those on Google, Dropbox, a variety of financial institutions and even password management apps like LastPass -- you'll need both your regular password and a second temporary code generated by a device only you would have. With the combination of those two keys, the odds of someone else being able to pick your virtual lock is impressively low. A free app called Authy is a great place to get started, as it's intuitively designed and able to run on your phone, tablet and even your desktop or laptop system if you'd like. Google also has its own Authenticator app for Android, but it's far less versatile and pleasant to use than Authy's offering. Securing your phone with a pattern, PIN or password is important; we all know that. But having to put in that code every time you want to use the device can get annoying fast -- so it's no surprise a lot of people opt to skip the hassle and just leave their phones unprotected. Android's Smart Lock feature gives you the best of both worlds by cutting down on the annoyance factor while still allowing you to keep your phone secured when it really counts. You can choose to have your phone remain unlocked whenever you're in a trusted location, like your home, or anytime you're connected to a trusted Bluetooth device, like a smartwatch that's always on your arm or a stereo that's inside your car. You can even opt to have the device stay unlocked if it hasn't left your pocket or purse since you last put in your passcode. Android's Smart Lock tool gives you a variety of ways to keep your content safe without too much trouble (left). You can even opt to have the device stay unlocked if it hasn't left your pocket (right). Any time you aren't in one of those secure situations, your phone automatically locks itself and requires your code to get in. And that's the end goal that matters. You wouldn't know it from all the third-party companies peddling anti-virus software for smartphones, but Android has actually had its own native malware-scanning system in place since 2012. In addition to checking apps for potentially harmful code when they're installed, the OS can continuously scan your device over time to make sure nothing problematic ever pops up. All you have to do is opt in by going into the Google section of your system settings (or into a separate app called Google Settings, if you have an older device). Select "Security" and then activate the "Scan device for security threats" option, if it isn't already activated. That's it: Your device and the software already on it will handle the rest. The tool is called Android Device Manager, and it's already on your smartphone and waiting to be used. Confirm that you have it enabled by going into the Google section of your system settings (or into the separate app called Google Settings) and then selecting "Security." You'll want both options under "Android Device Manager" to be activated. The Android Device Manager can locate your device, have it ring (so you can find it) and, in the worst case, erase all the contents. Now, if you ever lose your device, just open up the Android Device Manager website or Android Device Manager app (from another phone or a tablet) to track and secure it. This final item isn't one everyone needs, but if you spend a lot of time surfing the Web through open Wi-Fi networks -- at airports, hotels or other public places -- it's worth considering. A VPN, or virtual private network, encrypts all of your data and keeps strangers from snooping in and seeing your personal info. It can allow you to mask your actual IP address and location, too, and thus access websites and services that might normally be blocked in your area -- something that could be relevant and beneficial for some users. Android has a fair number of VPN clients available, but the one I'd recommend looking at is an app called SurfEasy. A big part of the reason is trustworthiness, especially for an app of this nature: SurfEasy is owned and operated by the same company behind the Opera browser -- in other words, a known and reputable organization. But beyond that, the app is exceptionally simple to use and also reasonably priced, with plans starting at $3/mo. for unlimited use on a single device. All said and told, taking into account everything on this list, that brings your grand total for personal Android security to a whopping $1 to $4 per month. And you know what? That's a small price to pay for practical peace of mind. This story, "7 Android tools that can help your personal security" was originally published by Computerworld.